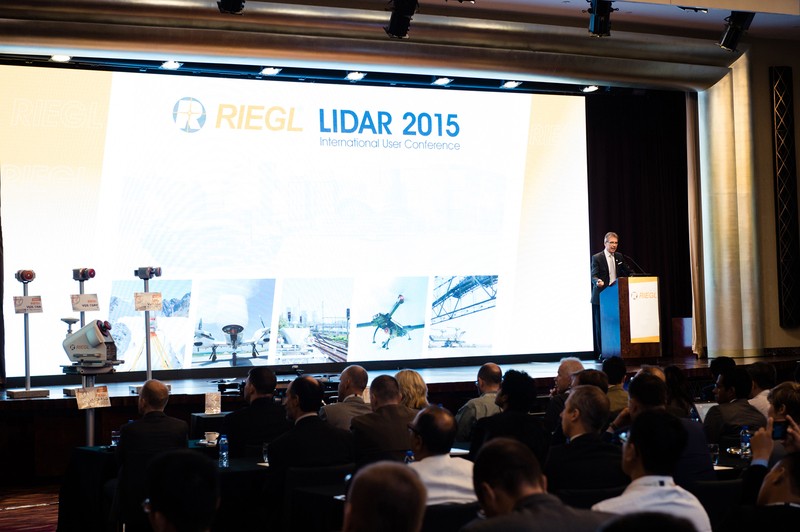 RIEGL LIDAR 2015 User Conference: Thrilling Success in Hong Kong and Guangzhou! 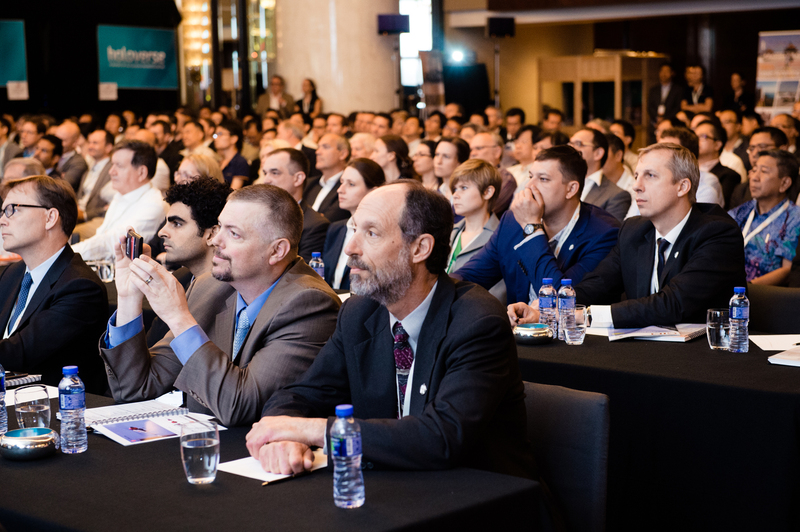 RIEGL closed its ambitious LIDAR 2015 “One Conference, Two Exciting Locations” in Hong Kong and Guangzhou with a record number of more than 550 total attendees from over 40 countries worldwide! RIEGL honored China as one of its fastest growing markets in the world by hosting RIEGL LiDAR 2015 in Hong Kong and Guangzhou during the same week, which was a new and innovative approach to make the conference conveniently accessible to attendees from around the world. “We are very proud of the outcome of RIEGL LIDAR 2015. 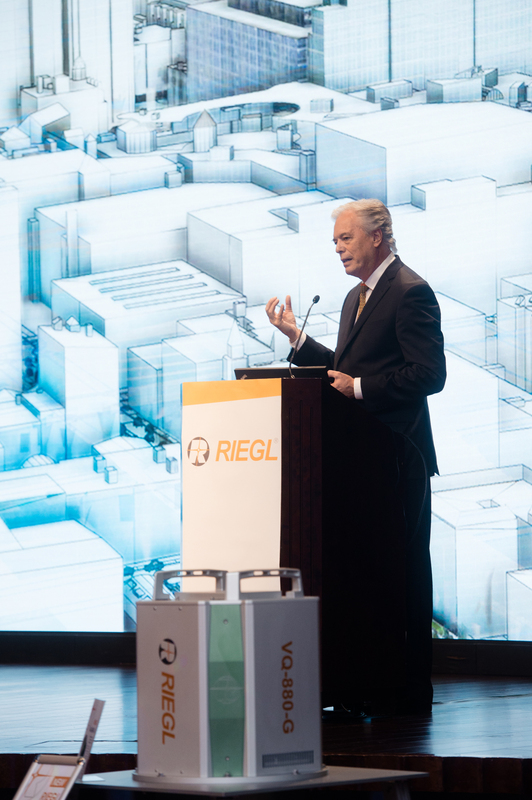 A record number of attendees, captivating keynotes and various fascinating presentation tracks with more than 100 speakers, significant product introductions, and almost 30 leading international companies from the geospatial industry as sponsors and exhibitors, all in the spectacular surrounding of Hong Kong and Guangzhou, made RIEGL LIDAR 2015 a remarkable industry event!” commented Johannes Riegl Jr., RIEGL Chief Marketing Officer. “Attendee feedback so far has been amazingly positive and we will see where our RIEGL LIDAR 2017 conference will take us” he added. The conference agenda consisted of various tracks such as UAV-Based Scanning, Mining, Bathymetry, Mobile, Archeology, Multispectral, Forestry Assessment, and many more. Leading international geospatial firms such as the Platinum Sponsor Esri and Gold Sponsors Applanix, Flying-Cam and Trimble, informed the attendees about their products and services. In the 3D Exhibition Area, Euclideon showcased its unique Hologram Room, a special experience for users and shown for the first time at a manufacturer’s user event. ArcTron 3D showed spectacular data of one of the best mapped castles in the world, Castle Vianden in Luxembourg, now complemented by RIEGL RiCOPTER UAV datasets. With the new VUX-1HA, VUX-1UAV and VUX-1LR, RIEGL developed a series of high performance LiDAR Sensors for Kinematic Laser Scanning, each optimally adapted for mobile, UAV-based or airborne mapping. For airborne scanning, RIEGL’s new VP-1 ultra-compact helicopterpod represents a user-friendly turnkey solution with VUX-1LR sensor, camera solution, and IMU/ GNSS and control unit integrated. Watch our project video on youtube! With the introduction of the new RIEGL VMQ-450 Mobile Laser Scanning System featuring a single scanning head, RIEGL now offers a cost effective mobile mapping solution to complete its broad range of scanner engines and systems for mobile applications. Find our project video on youtube! Additionally, the upgraded software packages RiSCAN Pro 2.1 and RiACQUIRE 2.0 provide many improvements in terrestrial and kinematic data acquisition. 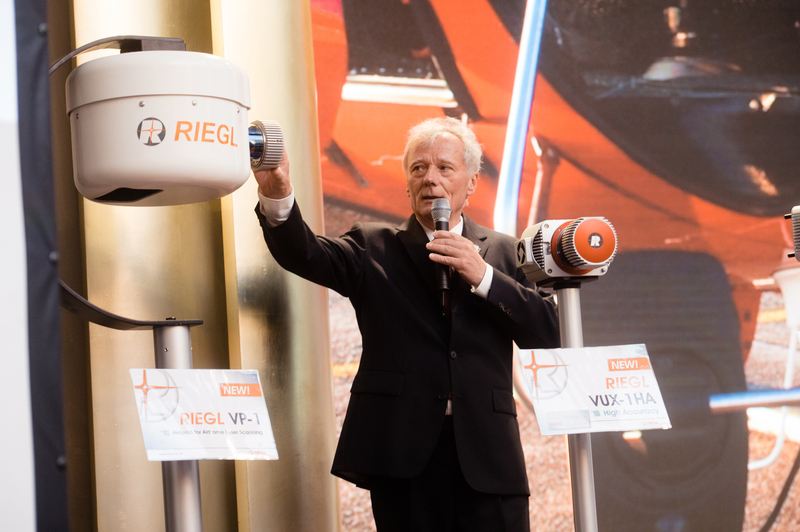 The announcements of the new products, the riveting presentations given by both RIEGL staff and RIEGL users, and the exciting evening events during both conferences led to the thrilling success of RIEGL LiDAR 2015! We look forward to RIEGL LIDAR 2017 – date and venue will be announced at a later time. The featured keynote was delivered by Mr. Lawrie Jordan, Director of Imagery at ESRI, in a fascinating overview and outlook on how LiDAR is able to support ESRI’s efforts to generate the map of the future. Dr. Andreas Ullrich, CTO, gave a technical presentation on RIEGL’s core technologies.